We are hosting a church fellowship at our home this January. This is the invitation card that I will be sending. 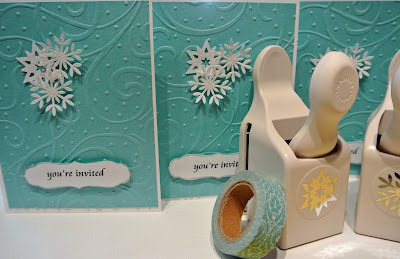 I used an Anna Griffin embossing folder for the swirled snow aqua background. The snowflakes are from Martha Stewart punches. I sprayed them with glue then sprinkled them with Martha Stewart glitter. and pigment ink from Close to My Heart. January and we are in one of the snow capital states of the U.S.
Have a blessed weekend, my friends. 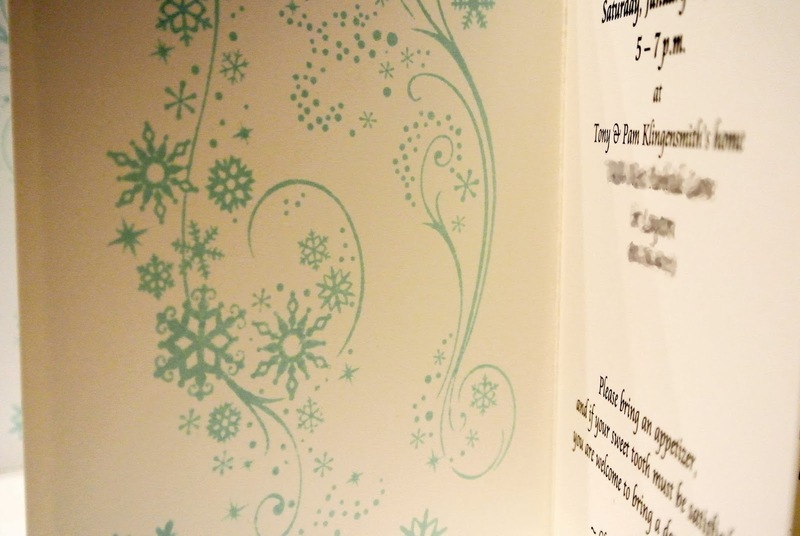 What cute invitations! Love the snowflakes. Thanks, Jennifer. You have a fabulous New Year also. Thanks, Judith. Happy New Year to you!